Babblings of a Mommy: 4 Collections To Look-Out For! 4 Collections To Look-Out For! There seems to always be collections and collaborations hitting the shelves, some are worth looking into - others are not. So I've gathered the lowdown on products hitting the market, and here are the ones I'm most looking forward to checking out! Peter Rabbit for Baby Gap. I'm about to be an auntie again! 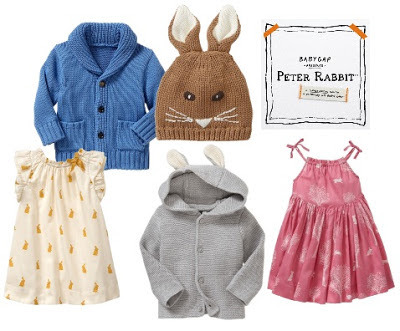 So this adorable Peter Rabbit Collection from Baby Gap is on my to-get list. This collaboration is to celebrate the 110th anniversary of Beatrix Potter's beloved children's book, The Tale of Peter Rabbit. The collection ranges in size from newborn to 24 months, and features an assortment of soft knit graphic bodysuits, brightly colored denim, and patterned dresses. Prices range from $6.99 to $55.00. This is a collaboration that is in the works and will be available come spring. 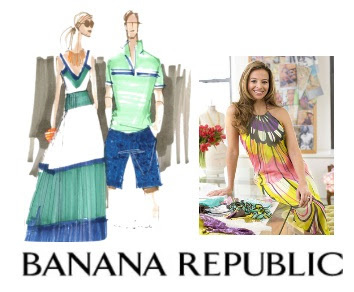 Milly is known for her bold preppy chic prints so it's exciting to see what she will bring to BR. According to WWD, this will be a 60+ collection that will feature re-issues of six popular Milly prints, as well as one new one created especially for the project, with prices ranging from $45 to $175 for women’s apparel, $24.50 to $64.50 for mens wear, and $39.50 to $130 for jewelry and accessories. Flower by Drew Barrymore for Walmart. If you've ever wanted to look like Drew Barrymore - now you can! 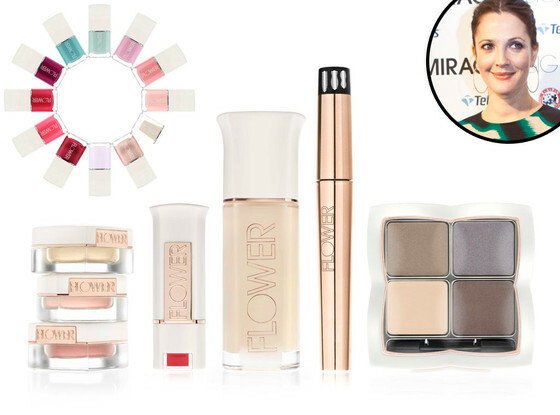 The talented star has partnered with Walmart to bring consumers a super affordable cosmetic line called Flower. Drew says she grew up in the make-up chair and co-creative director for her CoverGirl campaigns, so there's no denying the girl knows a thing or two about make-up. She's was even concerned about not skimping on quality that she opted out of pricey advertising and instead used it to create luxe, custom-formulated items. The collection features a rainbow array of nail polishes, eyeshadows, bold bronzers, BB creams, etc—all under $13! What collections are you most looking forward to? You know, I was excited when I heard about the holiday 24 collection but was disappointed in the selections, especially when I saw them in person, but that does't stop me from loving target or giving other collections a shot. You're right, hopefully the Prabal Gurung will be better.